The Fubiz Talks, a creativity-focused event organised by the Fubiz website, was held in Paris on 27 September. A brand known for its inventiveness for nearly 100 years, Citroën, main partner of the event, shared its vision of automotive design, world premiered a work of art called “I Inspire Citroën”, and presented its initiatives to foster French creativity. 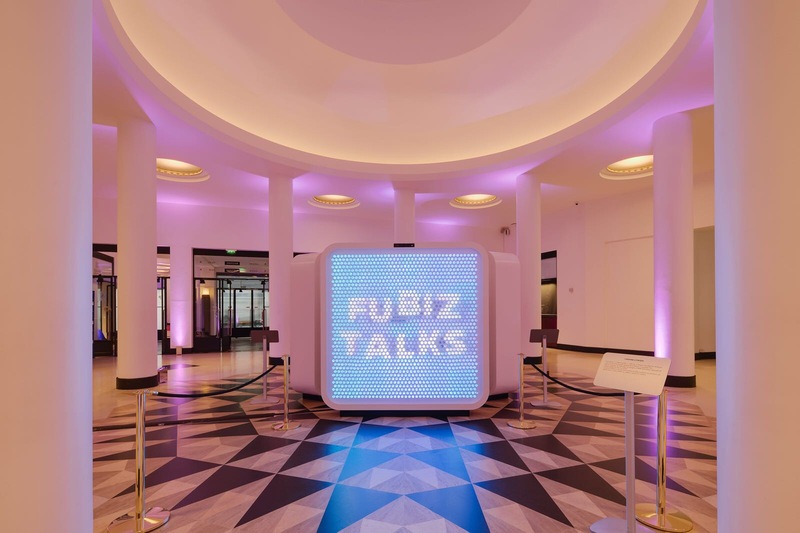 The Fubiz Talks, held for the second time in Paris at Salle Pleyel on 27 September, celebrate creativity across the board, ranging from architecture, graphic design and photography to video, fashion, music and design. The event kicked off in the morning with master classes based on the theme of “Embodying imagination”. As part of the class focused on industrial imagination, Citroën, main partner of the event, shared its vision of automotive design. Alexandre Malval, Citroën Design Director, Karine Buisson-Caillard, Citroën Global Brand Design Manager, and Frédéric Duvernier, a Citroën designer, talked about their approach to design and its place at the crossroads of art, technique and society. Asked about the creative process of automotive designers, they expanded on the Brand’s design strategy, from the initial idea through to the production of a car. In the afternoon, high-profile speakers from the worlds of fashion, cinema, architecture and photography unveiled the secrets of their creative processes. For Citroën, which has combined boldness and creativity in vehicle design, advertising campaigns and artistic collaborations for nearly a century, the partnership with Fubiz is a self-evident meeting of minds between two players who share the same emphasis on creation and inspiration, regardless of the discipline, be it fashion, music or art. Citroën has supported creative activity for nearly 100 years, as reflected in its collaborative ventures with Pierre Louÿs, Victor Vasarely, Bernard Buffet, Kojiro Imamura, Bernard Rancillac, César and Ora-ïto. At the Fubiz Talks, Citroën world premiered its latest work, created together with designer Jean-Baptiste Sénéquier and entitled “I Inspire Citroën”. The new creation adds to the collection of sculptures with the Brand’s chevron theme. “I Inspire Citroën” is composed of 1,600 plexiglass stems and 8,000 LEDs that subtly depict the Citroën chevrons. A 3D camera atop the work detects the presence of viewers, who can interact with the work and change the sculpture as they see fit! The creation of “I Inspire Citroën” echoes the Brand’s new baseline, “Inspired by You”, highlighting what Citroën is about today: a popular Brand in the noble sense of the term through its close relationship with its customers. They inspire the brand, and it works to fulfil their desires. “I Inspire Citroën” completes a triptych initiated with the “I Love Citroën” sculpture created by Karine Buisson and Jean-Baptiste Sénéquier. This unique work was generated by an algorithm function and consists of 1,284 chevron-shaped parts printed in 3D then chrome plated. It gradually reveals the emblem of the Citroën brand, evoking the themes of birth and evolution. The third creation in the triptych is “I Feel Citroën”, which represents respiration, breathing and life. Karine Buisson’s idea for the scalable sculpture was inspired by the experimental project for patented inflatable wood developed by the young French cabinet-making company ARCA.